Sage is a wonderful gift from Mother Earth. It has been widely used in central Europe since the Middle Ages. The Ancient Romans considered sage to be a sacred herb associated with longevity and strength. It is also used in Native American cultures for healing and spiritual rituals. 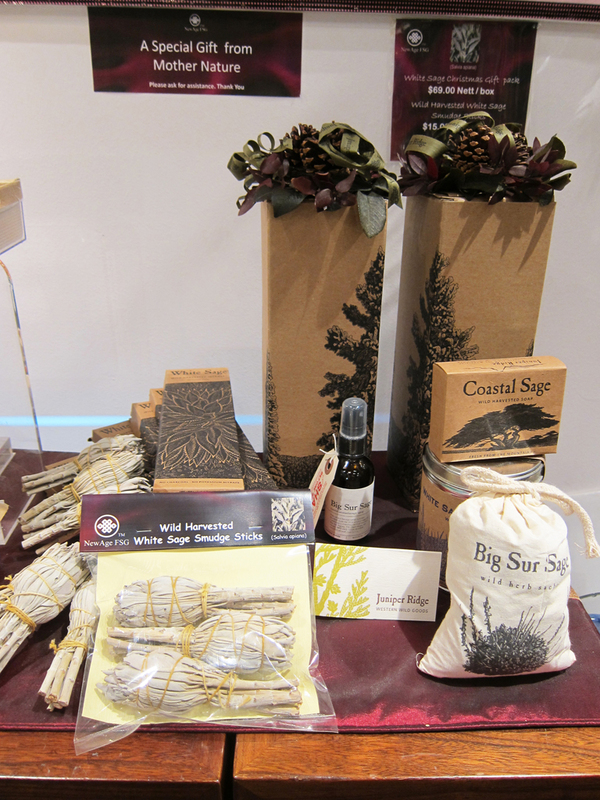 White Sage is important among the Native American Indians who use it for purification rituals. It is a powerful herb known for its medicinal purpose and it works best as a form of aromatherapy. 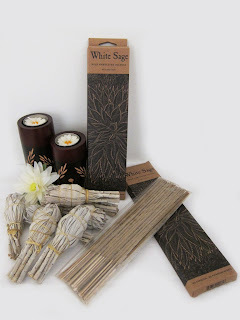 White sage is used to purify our auric field, cleansing out negativity that could weigh us down especially our mind, body and soul, causing illness when we experience a string of negative emotions. The smoke from the sage neutralizes all these negativity. Native Americans burn white sage as an incense, believing that it can repel bad dreams, spirits, sickness, and bad thoughts. White sage has been used to cure many aliments. It can be used to make tea which can be used for stomach and mouth ailments. 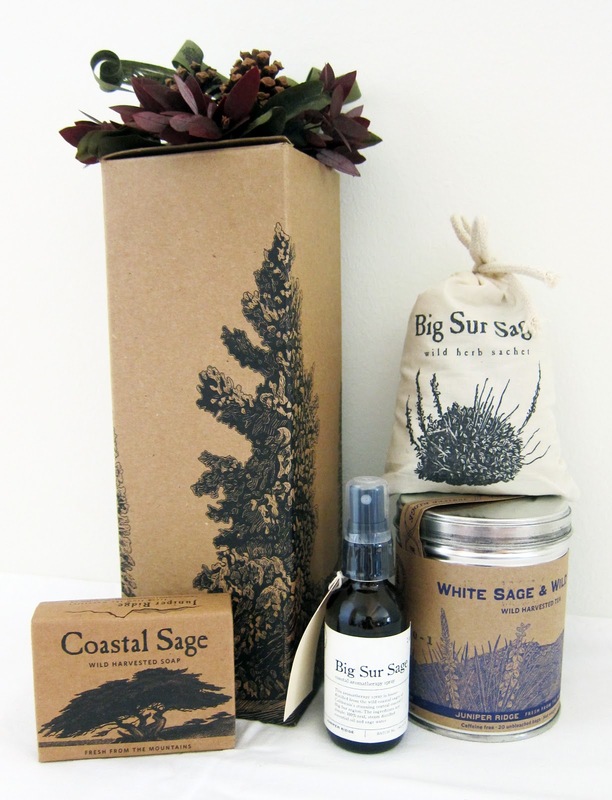 White sage's effects are also helpful for sinus infections, nosebleeds, fevers and headaches . Long term use also help to reduce sugar level in the blood. White sage being an antispasmodic and an astringent has particular benefits in slowing the secretions of fluids. Its estrogenic effect helps to regulate menstruation and calms the nervous system and possibly reduces anxiety. Its antiseptic action is also valued for intestinal infection, throat, gums and mouth infections. Others have found relief in the smoke for sinus congestion and pain, and even for migraine headaches. For this purpose, break off a single leaf, and breathe the smoke through your nose. Alternatively, you can detoxify your body by drinking a cup of hot white sage tea. The aroma from the tea also helps to invoke peace and clarity of mind. If your energy is low or depressed, or if you have been around negative people in a negative situation, try cleansing your entire energy field before going to bed by burning a sage incence stick to cleanse away the physical and emotional grime and stress of the day. 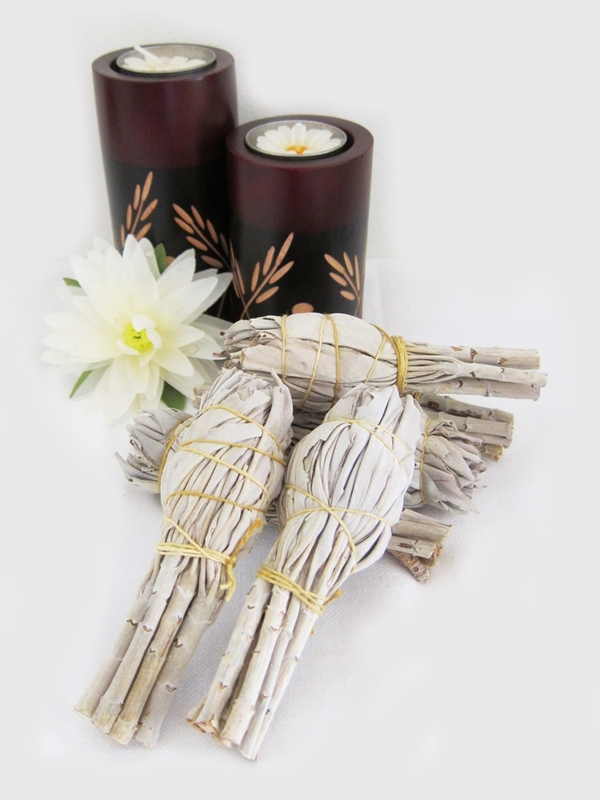 To cleanse and bless your house or apartment, use the entire bundle of sage to light and smudge the room. You'll see that the room feels better and is even "lighter" appearing to your eyes than before. If you have a piece of jewellery or crystal given to you but it has "bad vibes" or there is a bad feeling on it, smudge it and the feeling or vibes will be very different. Rule no. 1: once the sage is lit, do not stop it from burning. The spirit of the sage knows just how much to burn. When the bad ions have been neutralized, it will cease burning on its own. Thick, rolling white smoke means the place or person has a lot of positive ions or negativity around them and it needs this thicker smoke to deal with it. Under no circumstances should you to put it under water to douse the smoke or to stop it from burning. Always use a heat proof bowl to put the sage in, after it has been ignited. Hold the sage in your master hand. Light the sage with a match at the very tips of the leaves on top of the wand. Once they start to burn, blow them out quickly and the stick will smoke either thinly or thickly. The effect comes from the smoke, not the flame. Place the smoking top of the wand of sage deep down inside the bowl and steady the rest of it, on the stick portion at the other end, with your other hand. Take a fan or a small piece of cardboard and start in one corner of your room, and gently waft the smoke after it clears the bowl, from the floor, up, toward the ceiling. Do not open doors or windows or turn-on a fan on when you 'smudge' yourself, a room or your house lest the amber fly onto you. You can now get it at our online store. Click here to visit our store.